Reality Check On Science Magazine’s Claim That 2009 Was The Hottest Year on Record in Southern Hemisphere | Climate Science: Roger Pielke Sr. The United States may be experiencing one of the coldest winters in decades, but things continue to heat up in the Southern Hemisphere. Science has obtained exclusive data from NASA that indicates that 2009 was the hottest year on record south of the Equator. The find adds to multiple lines of evidence showing that the 2000s were the warmest decade in the modern instrumental record. Southern Hemisphere temperatures can serve as a trailing indicator of global warming, says NASA mathematician Reto Ruedy of the Goddard Institute for Space Studies in New York City, given that part of the globe is mostly water, which warms more slowly and with less variability than land. Ruedy says 2009 temperatures in the Southern Hemisphere were 0.49°C warmer than the period between 1951 and 1980, with an error of +/- 0.05°C. That makes 2009 the warmest year on record in that hemisphere. That’s significant because the second-warmest year, 1998, saw the most severe recorded instance in the 20th century of El Niño, a cyclic warming event in the tropical Pacific. During El Niño events, heat is redistributed from deep water to the surface, which raises ocean temperatures and has widespread climatic effects. But last year was an El Niño year of medium strength, which Ruedy says might mean that the warmer temperatures also show global, long-term warming as well as the regional trend. However, their claim fails the reality check when even a cursory examination of the data (the “multiple lines of evidence“) is made. which I originally posted on January 8 2010. 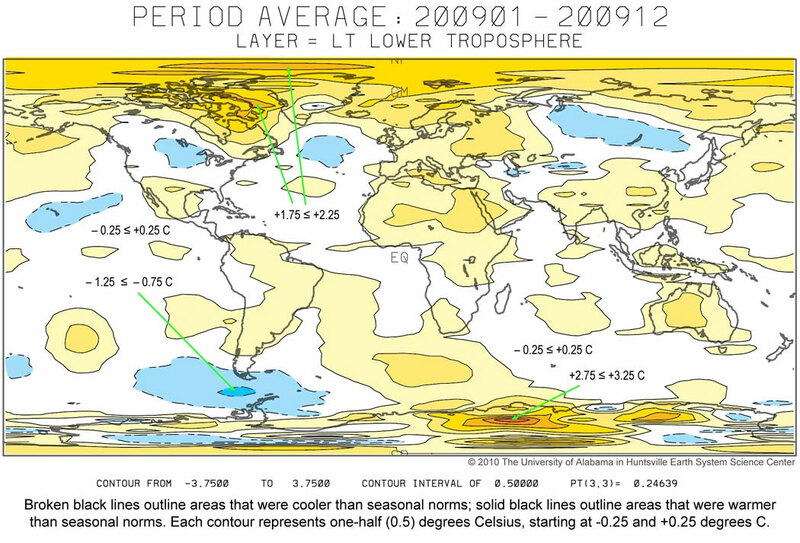 John Christy has also provided the Southern Hemisphere lower tropospheric MSU derived temperature anomalies and 2009 was the 4th warmest in the period 1979-2009: The other years and their anomalies are 1998 (+0.41); 2002 (+0.30); 2005 (+0.24) and 2009 (+0.21). 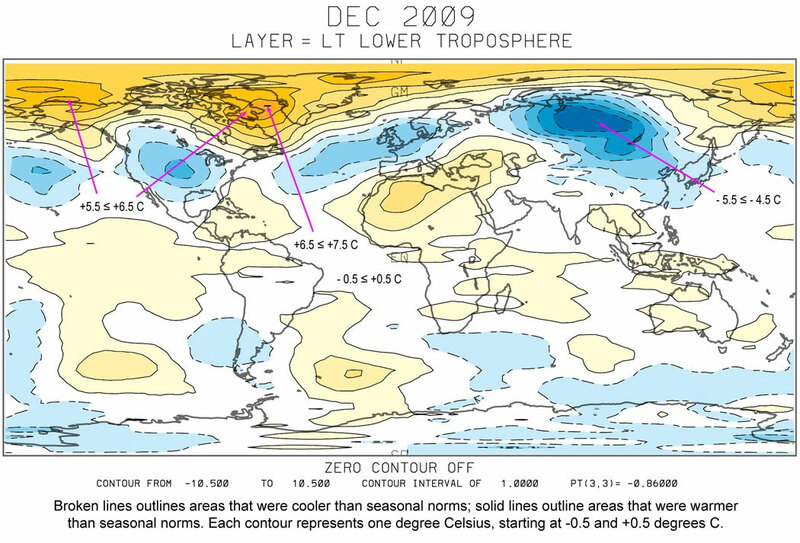 The anomaly of 1998 was almost twice the anomaly of 2009 in the Southern Hemisphere. The RSS MSU anomalies are also in close agreement with the UAH MSU data that John has provided. The Science article perpetuates the focus on an inappropriately narrow assessment of global (and hemispheric) warming. This is misleading policymakers, and, with respect to Science magazine itself, is confirming that it is not presenting a balanced view of climate science.